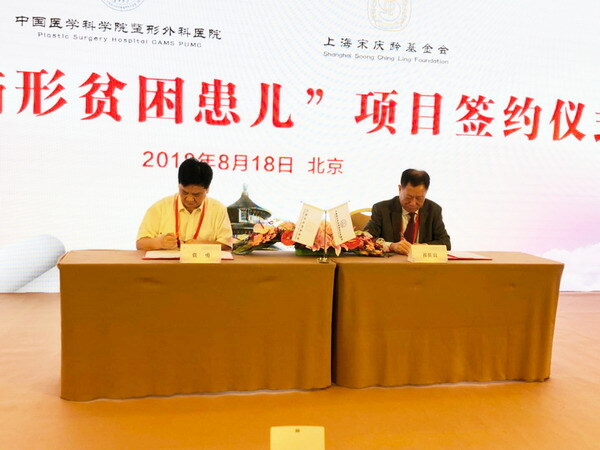 At the 10th Beijing International Conference on Plastic and Cosmetic Surgery held on August 18, the Shanghai Soong Ching Ling Foundation signed a cooperation agreement with the Plastic Surgery Hospital of the Chinese Academy of Medical Sciences. SSCLF - Huai Xun Plastic Arts Public Welfare Fund assists 5,000 yuan each for surgery costs for the hospital’s 20 children in poor families. 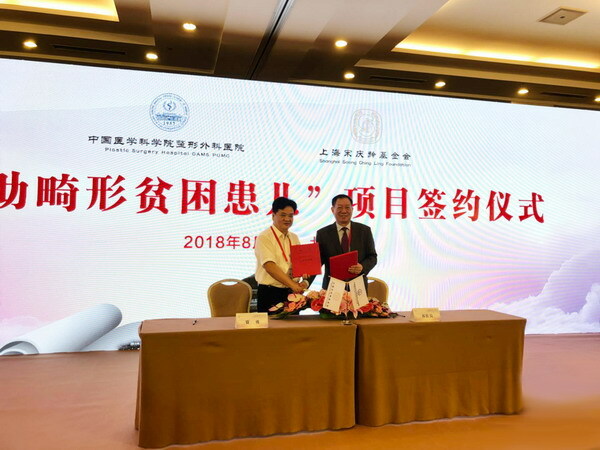 The donation of 100,000 yuan is also its first public welfare project after the establishment of the Huai Xun Plastic Arts Public Welfare Fund. 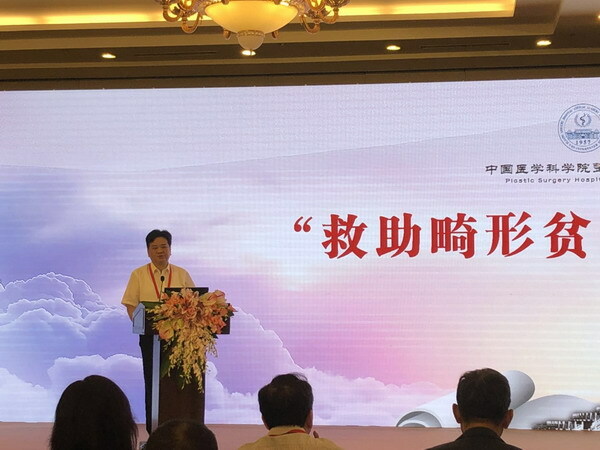 SSCLF’s acting secretary general Jia Yong who traveled specially to Beijing said in his speech that it is an important step for SSCLF to cooperate with the Plastic Surgery Hospital of the Chinese Academy of Medical Sciences in the field of medical assistance development. 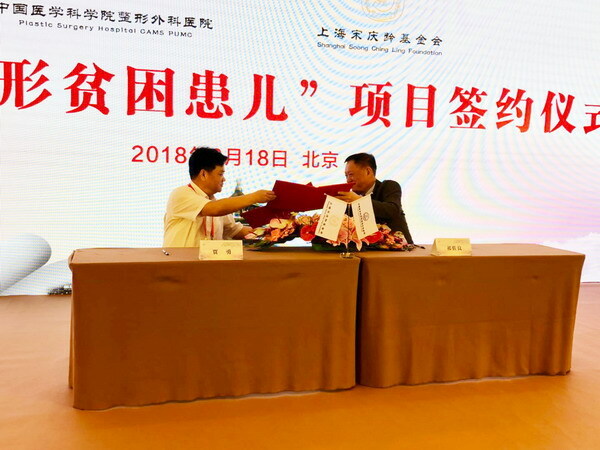 The foundation is willing to strengthen and promote cooperation with all sectors, and give full play to the foundation's role in the public welfare undertakings.